Jungle Red Writers: THERE WAS AN OLD WOMAN Launch Day!!! …there was an old woman who lived in the Bronx. Ninety-one-year-old Mina Yetner lives in the Bronx neighborhood of Higgs Point where small shotgun houses perch on waterfront with a view marsh grass, birds, and in the distance the Manhattan sky line. JULIA: Every book, I've discovered, has a kernel - an image, a news story, an event that spurs the writer's imagination. What was the kernel for THERE WAS AN OLD WOMAN? HALLIE EPHRON: Ah, the kernel... The idea came to me on a cold January morning a few years ago when firefighters pulled my next-door neighbor out of her house. She'd fallen and had been lying on her kitchen floor, unable to call for help. Her minister alerted the police when she didn't show up for Sunday services. 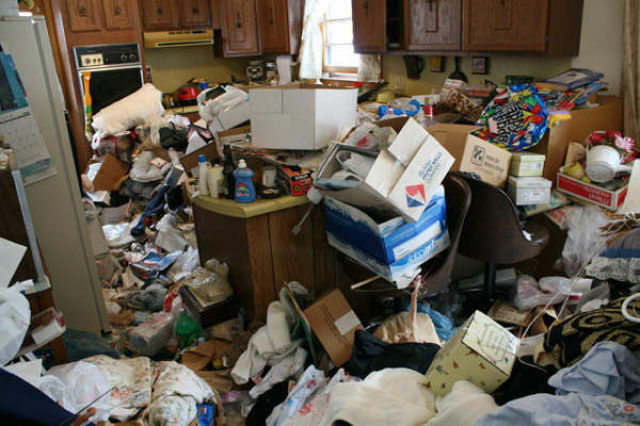 Firefighters found a house full of cats and piles of garbage and debris so dense it was barely possible to get to the kitchen to rescue her. My office window is barely ten feet from her living room window, and a year or so before, I'd brought over some mail mis-delivered to us and the interior looked, well, normal. And I thought she only had two cats. And so, being a mystery writer, I began to What if. 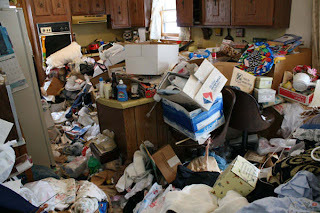 What if my neighbor didn't create that mess she was living in? How could her living conditions have deteriorated around her? Who might have orchestrated it. And the all-important: Why? JULIA: A feisty 91-year-old isn't the sort of heroine one reads every day. How did you put yourself into Mina's head? HALLIE: Mina. She's the person I imagine I'll become when I've outgrown the need to apologize for having so many opinions. I'm already pretty forgetful, so that part I didn't have to make up. JULIA: Forgetfulness... I think everyone at JRW can empathize with that! The book is rooted in the location, a small working-class community on a marsh within reach of Manhattan. 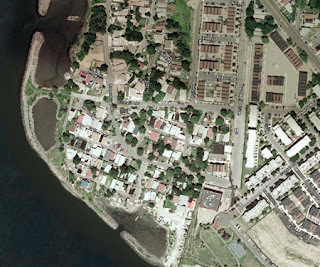 Is Higgs Point based on a real community? HALLIE: I set it in the Bronx where the Bronx River meets the Long Island Sound, at the edge of a marsh that Robert Moses didn't fill. I call it Higgs Point -- Thomas Higgs is historic figure who owned that (once) beachfront property at the turn of the century. But Evie's street, the little store, and everything else about the neighborhood is made up. JULIA: The unavoidable question: outline? Or organic? HALLIE: I tried to outline but it kept getting away from me. 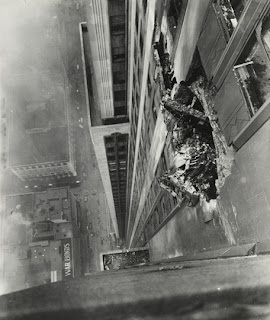 JULIA: Part of the story is anchored in the 1945 crash of a plane into the Empire State building (I looked it up in wikipedia when you gave me the manuscript to read and was surprised to find it was all true!) What led you to include this episode in the book? HALLIE: That crash links Mina and Evie, the other protagonist. Evie is a curator at a New York Historical society. She's mounting an exhibit about historic New York fires that includes that incident. Mina turns out to be the last survivor of that fire. JULIA: THERE WAS AN OLD WOMAN has a pretty compelling mystery, but it's also very much a story about mothers and daughters and sisters. 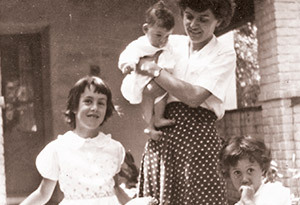 Do you see yourself as having written a mystery with a family tale embedded? Or a novel with a mystery attached? HALLIE: Can I have it both ways? HALLIE: I'm so glad you see the generations of women. Mina and Evie connect across a massive generational gap in part because they are not related to each other. Evie's relationships with her mother and sister are much more fraught. Questions? Comments? Cheers? 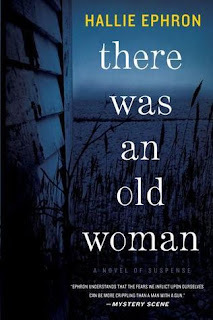 One lucky commenter will win a copy of There Was an Old Woman! We've got a trip to the bookstore on the calendar today and the munchkins know we get "one Mommy book" before going to the children's section. This is my "Mommy book" today! Can't wait! Now you have me interested in plane crash into the Empire State Building. Yes, cheers, Hallie! The story sounds fascinating, and you are Queen of the What Ifs, so I know it will be a great read. Congratulations on release day! Thanks, Dee, Dru, Paula, and Edith! The book is terrific! And yes, the plane crash was a stunner and I too had to do an on-line search to see if it were true. Fascinating, and amazing that so few of us knew about it. I look forward to reading your essay, Hallie. This sounds like a wonderful mystery, Ms. Hallie. Hope it's a gigantic bestseller. Hi, Kaye! I didn't know about the crash, either. The news must have been overshadowed by what happened a week later - the US dropped the bomb on Hiroshima. And, of course, in 1945 the poor pilot thought he was about to land in Newark when Rockefeller Center emerged from the fog in front of him. He veered to avoid it. Thanks, Mr. Jack! Me, too. Yes Edith, she IS the Queen of What If's! Congrats Hallie! I'm so excited this book is finally out because I loved it and can't wait for people to read it. Congratulations! I hope you enjoy the day and best of luck with the book. I love the idea of the story kernel and that yours started so close to home. Congratulations! You know I'll be getting the book so that my "Hallie Ephron" collection is complete :-) I'm looking forward to reading it. I read the book over the weekend (well, mostly Saturday until way too early on Sunday morning, since I couldn't put it down). The book is fantastic. Congrats Hallie. I hope that the book finds the vast audience that it deserves. I will certainly do my part to spread the word. I was going to have a subplot that involved my young woman protagonist (a museum curator) research the Twin Towers fire in the aftermath of the terrorist attack for an exhibit she's curating. In the process of double-checking that she has the correct names of ALL the victims, she discovers that one of them was fired from his job a week before the attack... so how could he have perished? When I went to visit the 9/11 museum I very quickly realized that so many friends and families are still grieving - the wounds are still so raw - the subplot would so trivialize their grief. So I dumped it... and found the Empire State Building plane crash which works infinitely better. Congratulations, Hallie! I loved the book (lucky me to get an ARC at Bouchercon) and wish you rave reviews and bestseller status! Sounds really great, Hallie. And-- something I learned when I first met some older Barnard alumna-- really older, 50 years older than I was at the time-- they were still the same, in so many ways, after so many years. Looking forward to meeting your feisty protagonist on the printed page. Oooh, some of my favorite writers have shown up! Tammy Kaehler (YAY for BRAKING POINTS - her second series novel, Kate Reilly proving herself in the world of car racing. Catriona MacPherson who gave us Dandy Gilver (& a Bothersome Number of Corpses). Hi, Ellen! Hope none of us changes... too much. I'd hate to have my rough edges sanded. And you're making me think, what about a mystery set at Barnard or Columbia (in the turbulent 60s of course). Though it would be hard to go one better than Amanda Cross (Carolyn Heilbrun). Congrats on release day~! I was too young (4) to remember about the plane crash but I do remember reading about it - perhaps in a HS history class? Though you know, because it was a 'mistake' I doubt if it gets into the history texts. Unless you went to school in Manhattan. Yay Hallie. Congrats on pub day. I hope it sells a zillion copies! AWESOME! This sounds so good, Hallie! I love the premise. I can't wait to read it! HURRAY for HALLIE!!! ANd this is SUCH great book! Downloaded . . . read . . . loved, loved, loved the book. Mina and Evie are perfect, their story compelling and the book impossible to put down. I could so relate to the split pea soup so thick the spoon stood up in it --- doesn’t everyone make it that way, just the way my mother taught me to make it? Congratulations, Hallie, on a wonderful book . . . I’m sure all the reviewers will be raving over it! Thanks, REDS: Rhys and Hank!! Best wishes on your new literary child. I look forward to reading it. Winning it would be even more fun! I think Tammy told me about the ARC at Bouchercon. It's such a great read, Hallie, and I wish you great success with it. My mom will love it, too; I plan to buy it for her Nook. The plane crash bit was a fascinating twist in the story. Thanks for the extra info in your essay. P.S. Meant to add that I really enjoyed all the rich layering of detail and intertwining stories in this book. The circus, the airplane crash, the marsh development, and all the fascinating relationships between the various characters. Such a well-crafted tale. Thank you for the engrossing entertainment. Happy Book Day, Hallie! This sounds terrific. Once again, I wonder "what if" I just stayed home and read all the time instead of working and writing and all that other stuff! Laughing, Leslie - I know what would happen if I stayed home and read all the time... I'd get fat and go broke, in that order. Karen - Thanks for noticing! A reviewer just commented on how "tightly plotted" it is and it's true ... the pieces (Empire State, amusement park, marsh...) all "pay off" - but when I'm writing I have no idea how. Such an interesting process, and why it takes me so long to write these suckers. The book looks like one that anyone would want to read.....especially me. Generational connections and neighbors who are disconnected. Situations we either see every day or read about. Just as a comment,when the I heard about the first plane on 9/11, the radio said a small plane, and I thought it was something similar to the Empire State building crash. I wish it would have been. I grew up in lower Fairfield County in CT, and my mom told us stories about that plane crash. She often took the train into the city when she was single, and that crash made an unsettling impression on her. I look forward to seeing how you incorporate it into your novel! OK! Let's see if I can get my speech–to–text in gear! I certainly hope all your lunches are great, but please have a great launch! Sounds like an absolutely fascinating read! Congratulations on the publication.